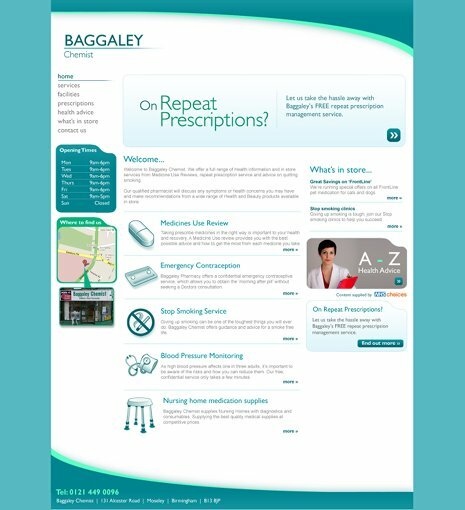 Baggaley Chemist's website has been created to promote the instore services and repeat prescription scheme available to the local community of Moseley. Using our 'Community Pharmacy' package as the starting point we have tailored the website to reflect Baggaley Chemists internal processes and customer requirements. The site has been optimised for local search in and around Moseley to ensure local customers can find the site when searching for pharmacy services and prescriptions in the area. Supported by an easy to use content management system the team at Baggaley Chemist can maintain the site in store.